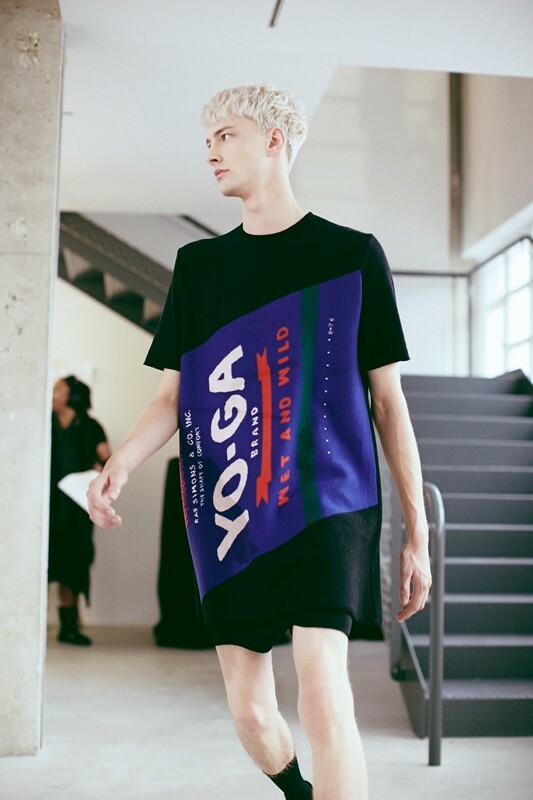 The SS14 Men's Fashion Week is coming to an end today (bye Ben Allen, Jester White and all their pals!) and the least we can say is that there has been one trend we have seen everywhere, from London to Paris including Milan: Flowers! Flowers everywhere. All kind of flowers. Big ones, small ones, as all over prints or just in some details, they simply could not be missed. We hope you guys are not allergic to pollen because it is a major trend we will have to put into practice as soon as possible! So, it all started with London and the shirts of the TOPMAN DESIGN Techno Cowboys, the big pastel roses at JOSEPH TURVEY and CHRISTOPHER SHANNON's gorgeous liberty pieces. Then, in Milan, flowers were spotted in some graphic silhouettes at JIL SANDER and in tapestry prints at GUCCI. This Spring epidemic did not stop when all the hot models came to the French capital and we could smell it in the creations of PHILLIP LIM but definitely the Flower Power was to be found somewhere else, in the works of two different (but with so many common points) designers: ANN DEMEULEMEESTER and DRIES VAN NOTEN, two of the Antwerp Six. 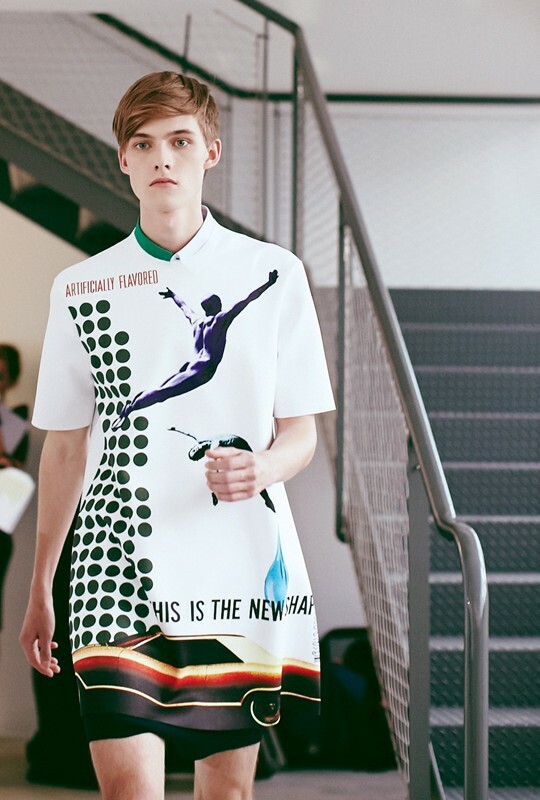 In 2014, at le Musée des Arts Décoratifs in Paris, there will be a retrospective of Dries Van Noten's work. 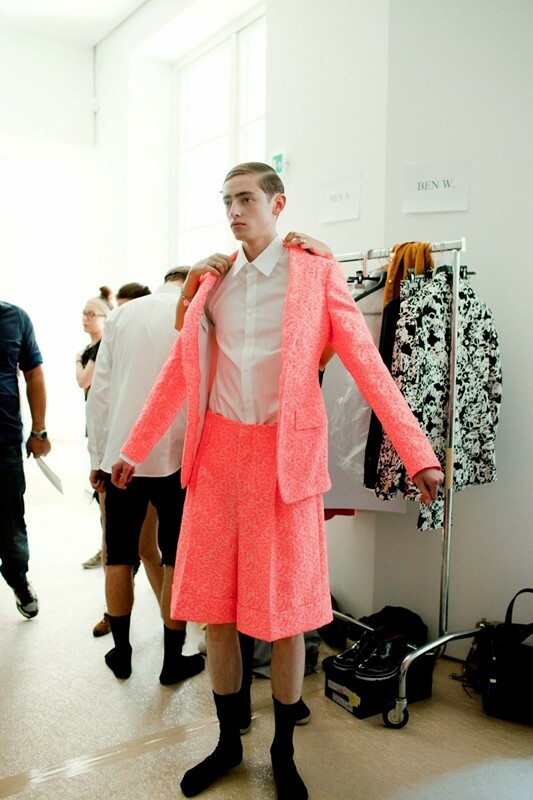 Surely the Fashion Must See of next year! And it is in the archives of this museum that can be found the inspiration for the flower prints of his Spring Summer 2014 collection. 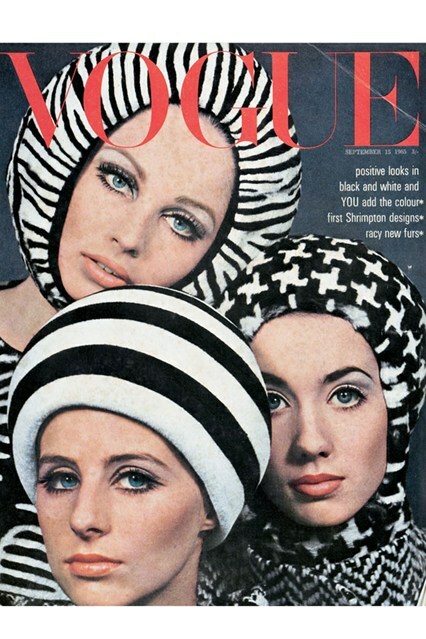 As he said to define it, when looking at these archives, he became inspired by all these "pretty but strange" prints. 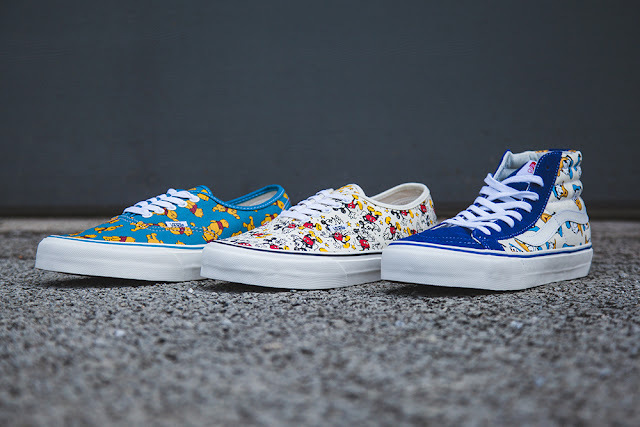 And there are a wild range of flower prints in this collection! Baroque and almost rococo, tapestry or Hawaian ones. We are under the impression that we have already seen these prints in our grandparents' house or during a visit of a castle/manor in some kind of school trips as kids. But instead of seeming kitsch or being dated, here, it is highly desirable because Van Noten's silhouettes are so cool, so effortlessly chic! 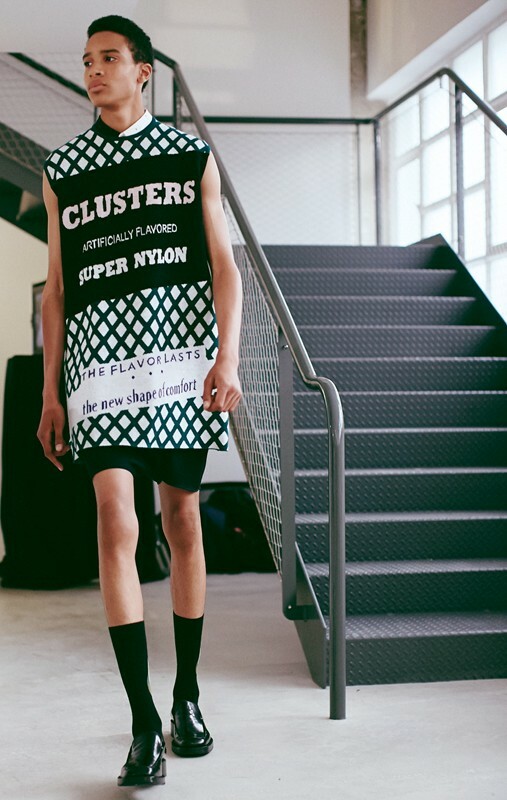 As he said to Style.com his challenge for this collection was to see how far he could go with these prints while still saying "yes it's men's clothes". As far as we are concerned, he met his goal! But this is not the only paradox of this collection, the cuts are loose but so well-fitted, the colours are sober but they look so flamboyant, the prints so ancient but the silhouettes are so modern and the styling with the Linda Farrow sunglasses and the sandals also convey this idea of absolute modernity. 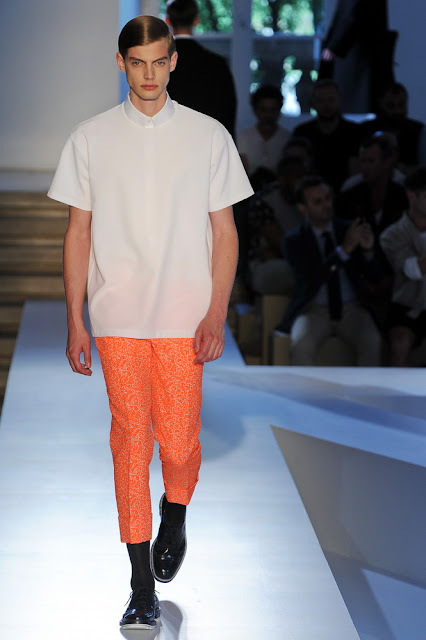 Next Spring, we definitely long to be Dries Van Noten's boys! Don't you? With Ann Demeulemeester, we are in something quite different. Another approach to flowers in a collection for Men. She told Style.com that she wanted to work on floral prints but she wanted to do it her way. After the introduction of some colours in her last Spring Summer collection (usually, she is playing more on dark colours, white or shadowy tones), this time she wanted to propose prints but not the kind of flowers you can usually find or you expect to find. So, she chose dark wisteria vines to enter the world of floral prints. Just like ivy, wisteria is an invader, a crawling flower covering the surfaces where it grows. A threatening and uncanny flower in a way. 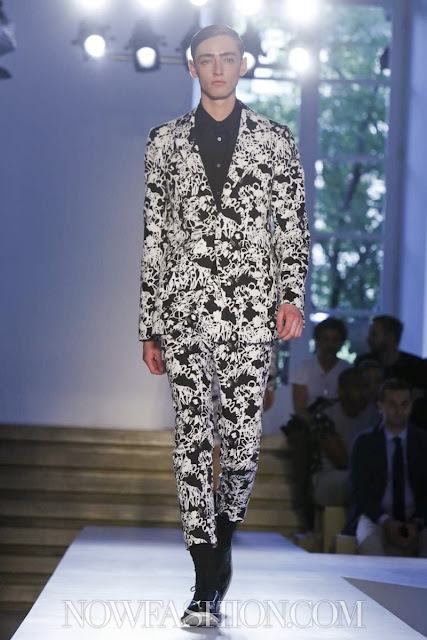 A flower that suits well to Demeulemeester's universe and conception of Fashion. She wanted to show the people who usually love her collections (and can be quite disturbed by this lighter one) that she "likes her garden" and can also be inspired by nature even if it is in a very personal approach ("the Private Ann on Sundays" she told Style.com). Here, she mixed wisteria that seems to overgrow little by little on the coats and jackets with stripes giving a romantic and sweet effect. 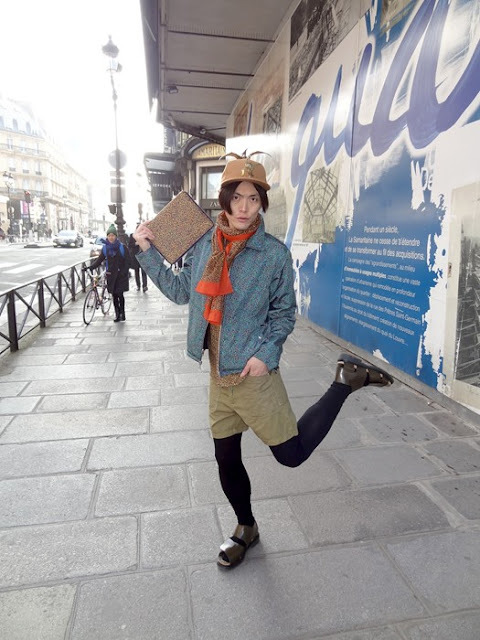 A lighter collection as we said reinforced by the use of colourful shoes or clownish straw cloche.
" i think it has always been hanging arou nd our brand a bit. 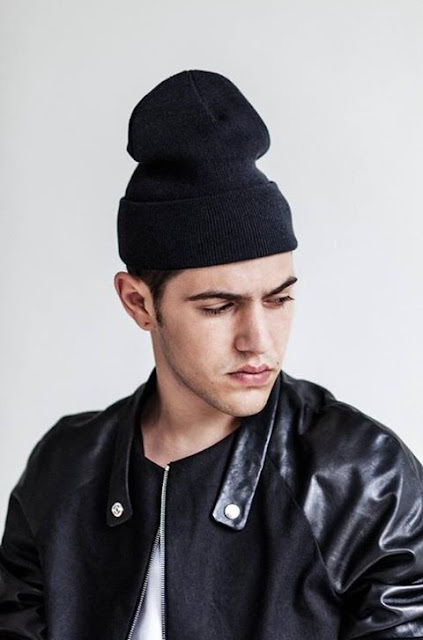 It's a brand that pushes fashion forward and that means that automatically there is more experiment to it. Although we are still defined really 100 per cent raf simons men's only, we have women clients, women buying and wearing our clothes which is very exciting for me. 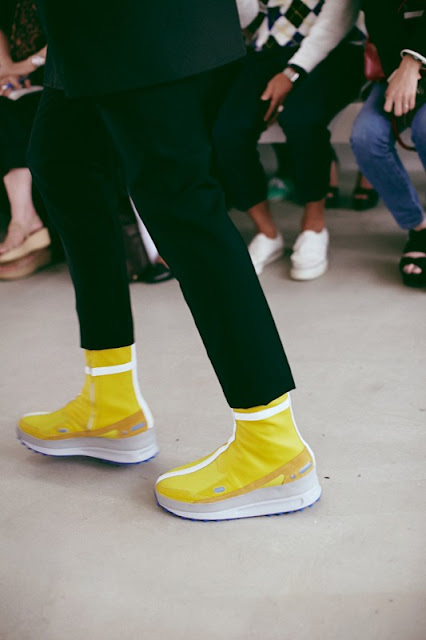 i don't feel at this moment in time to want to specifically design something for women because i find it fascinating to see the fact that women want to buy things that they see on men. I think that's also an evolution. I think it goes in two directions and for the rest i can only say it's a very natural way for us to behave. It's not that we over think - it's very natural. We feel it's almost a party mood. we're enjoying it and we show electricity and show energy and, at the same time, show nature. All the boys were natural tonight.There was nobody who did the hair for them. We showed them as they come so it was very much about the way of dressing, the way of choosing the clothes as a way to express yourself. It was not camouflage in terms of collection and that is what is interesting rigt now. You can just take it or leave it but hopefully take it." Clothes are not only the department that has been updated. The sneakers, a collaboration with Adidas has been part of the attempt to challenge menswear. 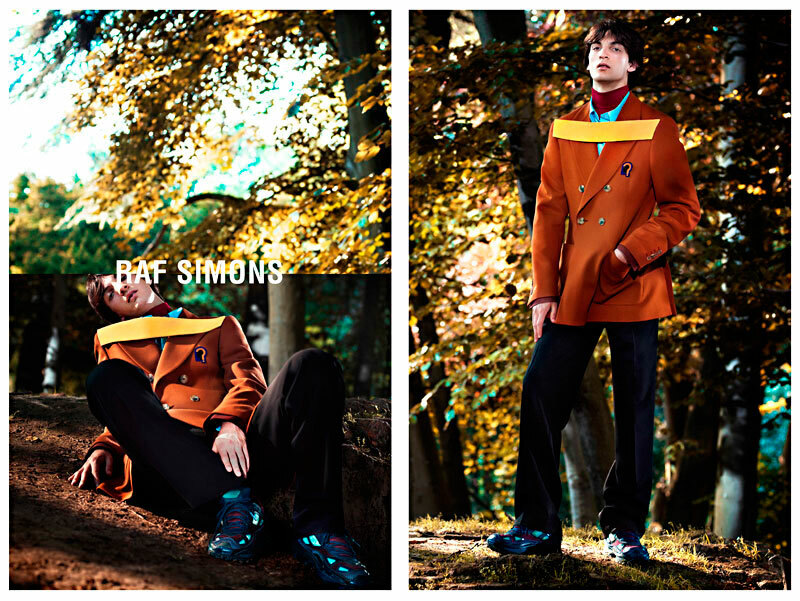 The low and high top sneakers are an avant-garde addition to Simons's wardrobe. The idea is not to replace the "velcro " or the "low space" sneakers, but it's more than a new start. 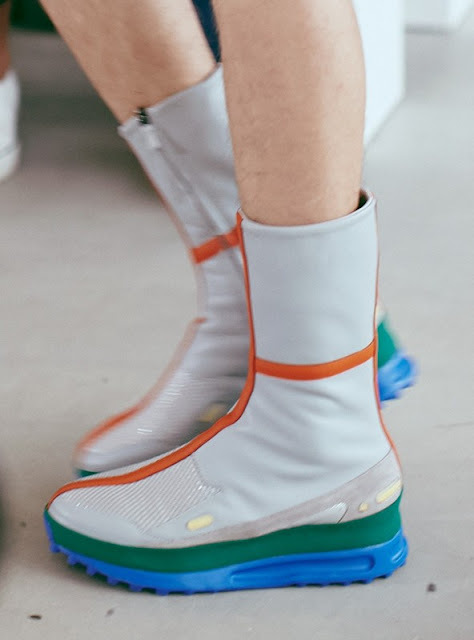 The sneakers have a futuristic and edgy touch. 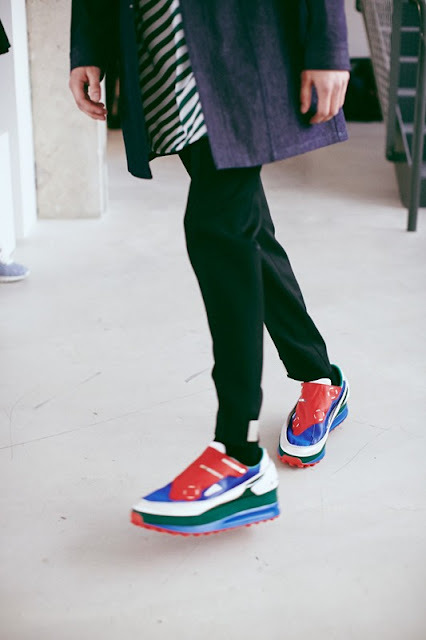 They look a bit heavy and we are not really into this kind of sneakers. It is not the matter here, they will be sold out like most of Simons shoes. We have no doubt! Simons 's accessories is another matter. We have been experiencing a great affliction! We are obsessed as most people are! It is a well-kown disease! Anybody can confess it right now we will not be confused! The AW13 collaboration with Eastpack is the ultimate must-have! This is not the first time and we hope this is not the last time ! Here is another higher level of sophistication for boys ( and probably girls!). 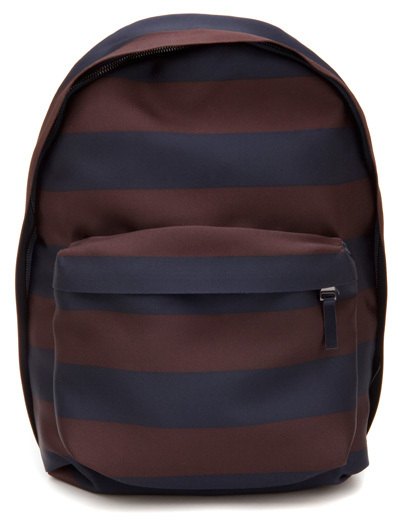 The two stripe silk backpacks are the W.A.R.M. WANTS! As far as we are concerned it is the best bag to go anyway you want. 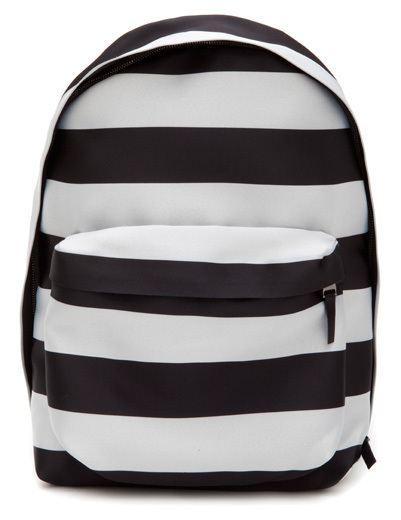 Probably the best bag to carry with us to London and Berlin this summer or on Festivals! Certainly it is an essential accessory! 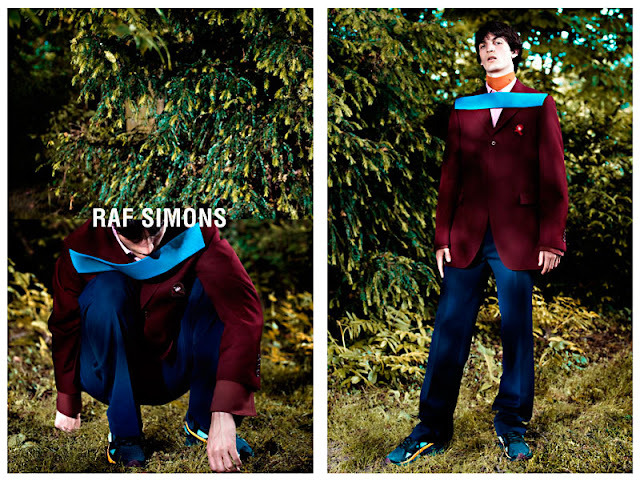 All the pictures come from DazedDigital. 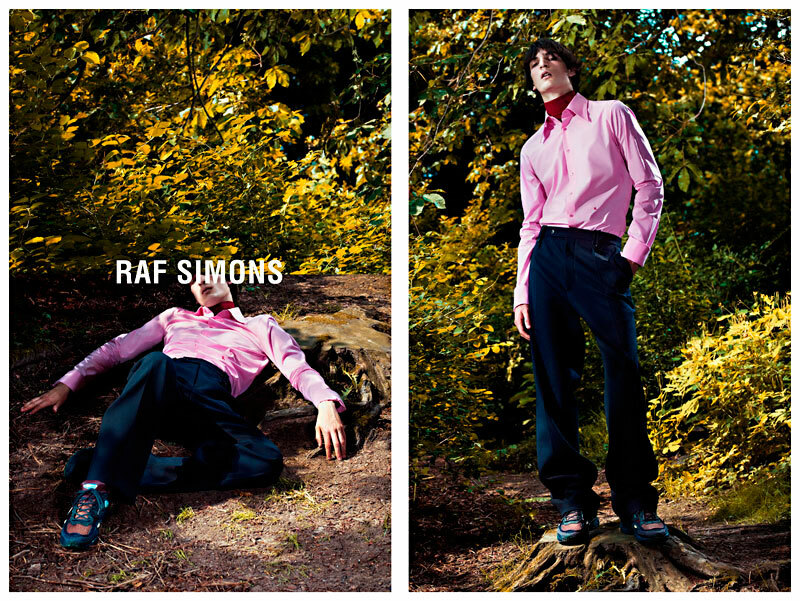 Eastpack X Raf Simons are already available at stormfashion.dk. Is it always a question of control or perhaps too much control for the queen of extreme clinical sharp shape? 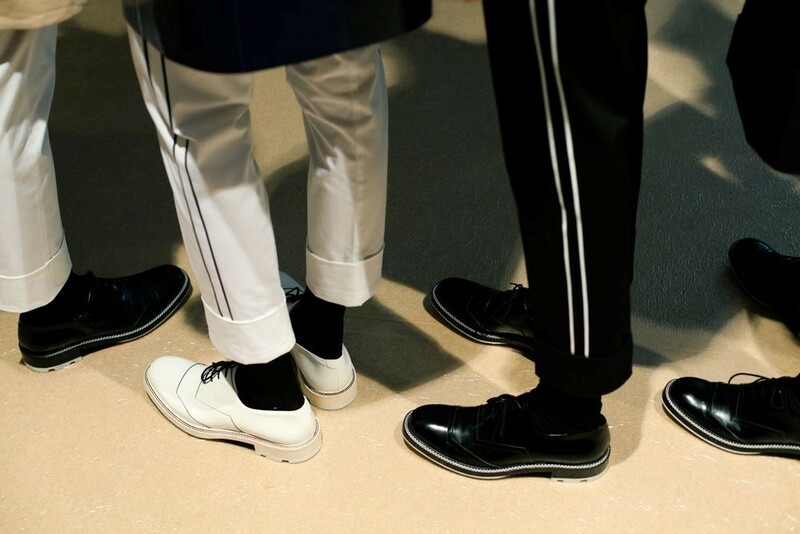 Jil Sander has given a standout collection (unlike poor and repetitive Versace and Dolce and Gabbana), without any revolutionary design, but well-managed ideas that have reached their goals: a balance wardrobe. There's no place for random and unfinished ideas, everything is at its right place. A-line loose coats, two and three button jackets, oversized buttoned up shirts, all the proportions are well adjusted, well-cut: everything looks perfect. It is almost frightening. After years of retirement, Sander has never lost her design. Wondering if she really dropped designing during this short break. After all these years, her return at the head of her self-titled label has been like riding a bike again. 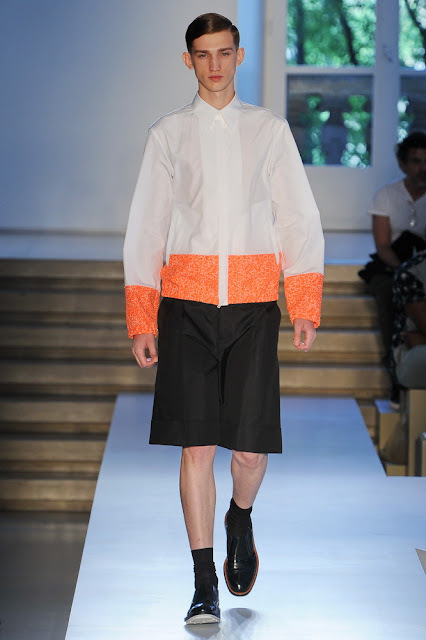 Sander's long oversized shorts are not quite like she did last season. It has got this womanly shape, trompe l'oeil effect, looking like a skirt. All the pants and "skorts" (shorts+ skirt) have got this large cuff, probably the new length for next summer that we have already followed. People always think it is silly to fold-back lapel up , we don't! Good proportions are the right attitudes! 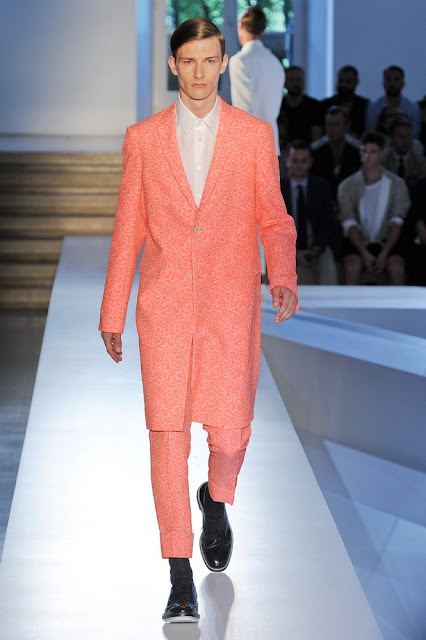 Pink orange like Katie Eary "Flamingo Massacres" is the new orange, definitely a key colour that you have to get for the next two seasons ( remember the beautiful tangerine at Topman Design AW13-14). Sander's deep navy blue is almost missing, only present on two jackets: a blazer and a a-line coat. Marianne Faithfull on the soundtrack, it's the beginning of the Ballad of Lucy jordan. So the 80's are back again and the two jackets are fulled of this spirit. It's not navy blue but shiny leather navy blue. 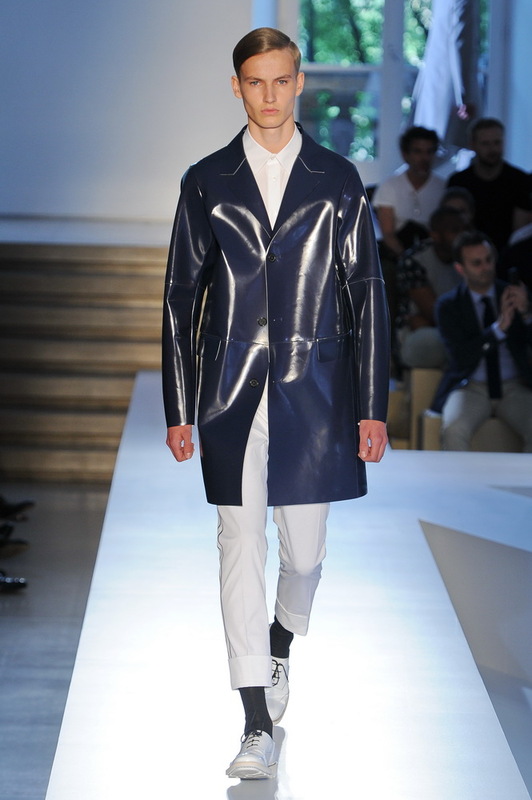 There is another level of sophistication as the leather has been updated, not raw fabric anymore. It is not so perfect, not so clean like the abstract monochromatic print at the end. The print looks chaotic, so we have been wondering if there is a kind of "let's go" in the collection. An enthusiasm which is part of 80's cliché, here it is kept. It's not boring minimalism, nor bling-bling, but it's all about good taste. Is it too much control or too much perfection ? 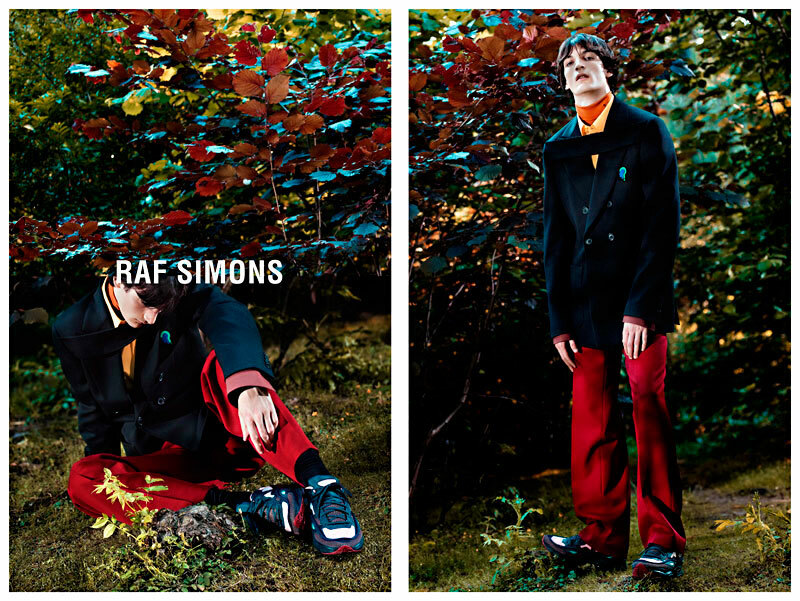 All the pictures come from DazedDigital and I-D Magazine.